Looking for a vegetable dish your family will actually love? Look no further than Candied Sweet Potato Casserole. Four ingredients, quick & easy, we promise it will be your new favorite side dish this season! Peel and thinly slice sweet potatoes. Arrange in a casserole dish. 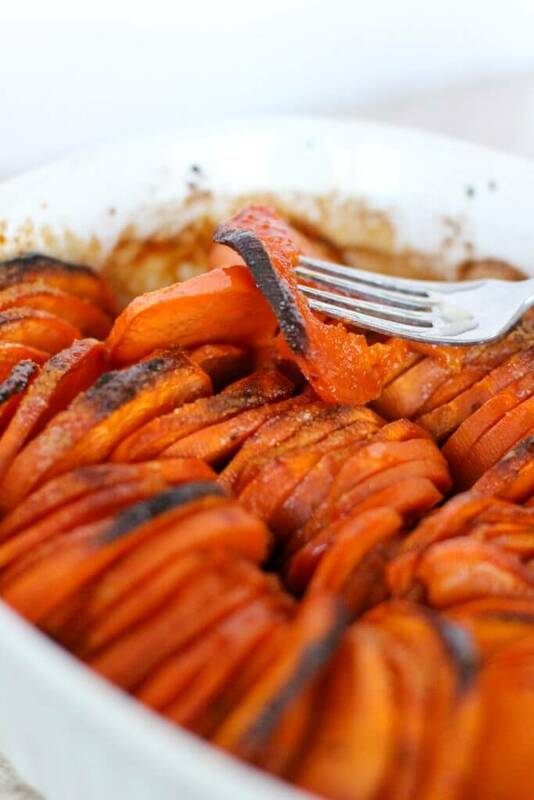 Pour melted butter over the top of the sweet potatoes. Sprinkle brown sugar over the top of that, working it in between some of the potatoes. If you have sugar leftover, sprinkle a little more on top. Raise the heat to 475 F degrees or up to a broil for 15 more minutes to crisp the tops.